Laibach is a Slovenian group whose music, performances, and entire aesthetic have been immensely influential across nearly the entire genre of industrial music, especially the martial industrial style. Its members prefer to be known as a collective rather than reveal their individual names; they've been accused of being fascists and practicing Germanophilia because of their music's Wagnerian thunder and their military attire. According to Laibach, "We are fascists as much as Hitler was a painter." Since fascism needs a scapegoat to flourish, the members of Laibach mocked it by becoming their own scapegoat and willingly sought alienation. Showing a ridiculous lust for authority, Laibach's releases featured artwork influenced by anti-Nazi photomontage artist John Heartfield, and the group's live shows portray rock concerts as absurd political rallies. In interviews their answers are wry manifestos, and they never break character. While Laibach's early recordings such as the group's self-titled 1985 effort were more experimental, the group became more popular when they began incorporating covers of well-known rock songs on 1987's Opus Dei. They soon began recording entire albums of covers, beginning with a take on the Beatles' Let It Be in 1988. 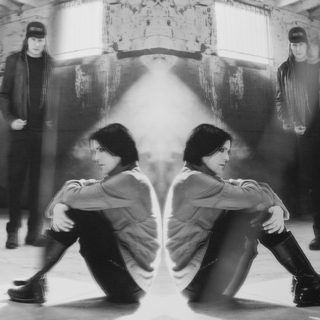 Laibach's music became more sample-based and techno-influenced on early-'90s releases such as 1992's Kapital, while 1996's Jesus Christ Superstars was heavier on guitars. During the 21st century, the group has interpreted national anthems (Volk, 2006) and show tunes (The Sound of Music, 2018), in addition to performing historic concerts in Korea. Formed the same year longtime Yugoslavian leader Marshall Josip Broz Tito died, Laibach became active in 1980 in the industrial coal-mining town of Trbovlje in the center of what is now Slovenia. They took their name from the nearby city Ljubljana's title during Nazi occupation. Their first performance was canceled by authorities for their controversial use of symbols, and military service kept them away from performing until June of 1981. Laibach first played Ljubljana in January of 1982, and the Ljubljana-Zagreb-Beograd collection captures some the group's performances from this time from cassettes sold at shows. The Laibach/Last Few Days cassette from 1983 was the group's first proper release, and cassettes from labels like Staal Tapes and Skuk followed. Milan Fras joined as vocalist, and his distinctive growl and grim stare still make him the group's most recognizable member. 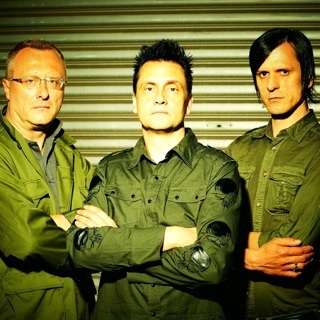 An appearance on Yugoslavian TV with shaved heads and military attire provoked the state to issue a ban on the name Laibach in Ljubljana that was not lifted until 1987. Around the time of the EP Panorama/Die Liebe's release, a concert was planned and posters put up overnight with only Laibach's trademark cross representing the group. Both concert and poster are captured on M.B. December 21, 1984. Laibach soon joined the like-minded artist collective Irwin and theater group Scipion Nasice Sisters to form the organization Neue Slowenische Kunst, or NSK. NSK became involved in the group's concerts and Irwin's artwork would often be displayed at venues. The group's debut studio album, which also featured the cross only, was released in 1985 but was reissued in 1999 as Laibach. Baptism, from 1986, includes the group's soundtrack to the NSK stage production Baptism Under Triglav. Laibach's music had remained a challenging combination of military marches and tape loops that only fans of Throbbing Gristle, Nurse with Wound, and the like paid much attention to, but things were about to change. Wax Trax! in America and Mute in the U.K. gave 1987's Opus Dei Laibach's first widely available release. Included were bizarre thumping cover versions of Queen's "One Vision" and one-hit wonder Opus' "Life Is Life," and videos of both were shown on MTV. A worldwide tour followed, and Laibach was invited by John Peel to do a Peel Session while Michael Clark commissioned the group to provide music for his dance company. The idea of covering pop music in Wagnerian style was expanded on 1988's Sympathy for the Devil EP, which included multiple versions of the Rolling Stones' classic, and Let It Be, which reproduced the whole of the Beatles' album, minus the title track. Let It Be included a version of "Across the Universe," sung by fellow NSK members Germania, whose ethereal female vocals would show up on many later releases. Another world tour followed, and a bootleg video of a Dallas, Texas, concert showed up on the short-lived Videophile label. The group's success caused various early recordings to be reissued, and 1990 saw Laibach return to more orchestral work with its soundtrack to a Neue Slowenische Kunst production of Macbeth. Laibach celebrated the fall of the Berlin Wall with the "Oktober/Geburt Einer Nation" single, containing more of a techno slant and a remix credited to the mysterious Kraftbach. Released in 1992, Kapital fully embraced techno and focused on the growth of capitalism in Eastern Europe. A world tour (with each member's skin painted silver) and more reissues followed. A return to bombastic cover versions was heard on the war-focused NATO as the former Yugoslavia fell apart. The techno was left up to the new side project 300,000 V.K. and its debut, Also Sprach Johann Paul II. The NATO world tour was documented on the limited-edition CD and video box set Occupied Europe NATO in 1996, the same year the band released the religious-themed and cover version-filled Jesus Christ Superstars. That album's live show toured the world on and off until the release of 2003's WAT, a return to techno and the band's first pop album to contain primarily self-penned material in a while. The 2004 compilation Anthems featured two CDs: one compiling singles, the other remixes. Volk from late 2006 reimagined national anthems from around the world, including those of Germany, Italy, the U.S., and even the Vatican. 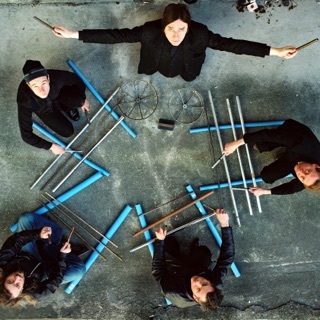 Their 2008 album Kunst der Fuge featured "Laibachian interpretations" of Johann Sebastian Bach's The Art of Fugue, and in 2012 the film Iron Sky arrived with a Laibach score including the WAT track "B Mashina," which was also released as a single. That same year, London's Tate Modern museum hosted an overview of the NSK's work, which included a Laibach concert recorded and released by Mute as Monumental Retro-Avant-Garde. In 2013 the EP S arrived, featuring a cover Serge Gainsbourg's "Love on the Beat" along with three original songs that landed on the group's 2014 album, Spectre. Later the same year they released another EP to commemorate the 70th anniversary of the Warsaw uprising.